Visit our table at 10th Street, for info about tenant rights and other events and campaigns in the area, CSC-branded t-shirts and bags, and you can buy a spin on our prize wheel! All vendor spots have already been sold. 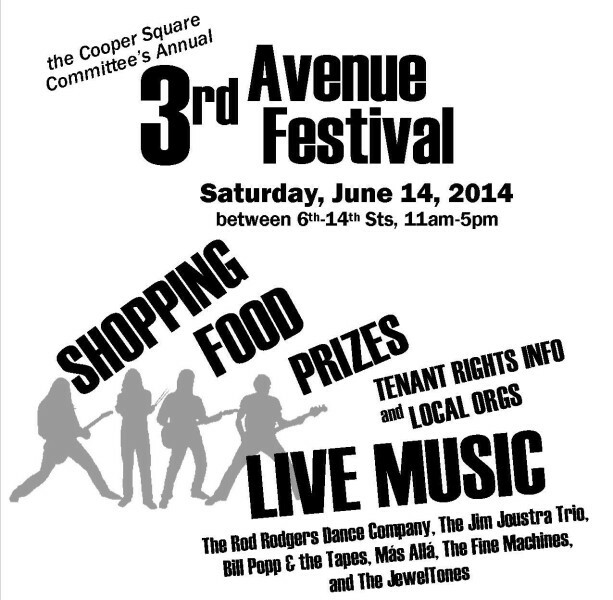 If you are a vendor, volunteer, or musician, you have been emailed any relevant information. If you would like to volunteer and have not signed up already, or if there are any issues, email Daniel at danielw@coopersquare.org or visit our table.